Rob’s role for the past 11 years has been with Stroma Tech where he built and led an Energy & Sustainability team. He has provided sustainability solutions to clients across construction, property, retail, leisure and industrial sectors, helping clients to meet the range of challenging legislative compliance needs. 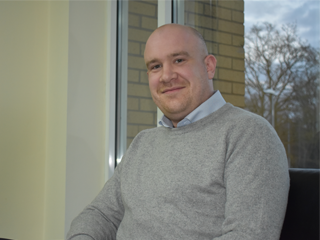 Based in the Leeds office, Rob’s role within the team will be to spearhead our energy services offering, focusing initially on energy and carbon reporting. Rob says, “I’m thrilled to be joining Delta Simons at an exciting stage of their growth as a business and bringing my experience within energy and carbon services to drive our sustainability team forward. Delta Simons has a strong reputation of delivering excellence in environmental services, with energy efficiency, sustainability and carbon emissions playing a central role in the future of our environment, not only now but for future generations. Rob is an accredited ESOS Lead Assessor and qualified Incorporated Engineer. He has qualifications and accreditations in relation to Carbon Reduction Commitment Energy Efficiency Scheme (CRC), TM44 Air Conditioning Inspections, Energy Performance Certificates (EPCs) and Display Energy Certificates (DECs).